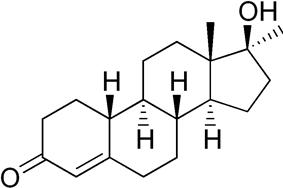 Methylestrenolone is a progestogen and an anabolic steroid. ^ Begni-Calvet, D. (1959). "Two properties of methylestrenolone (17-alpha-methyl-19-nortestosterone): Its effectiveness in the treatment of dysmenorrhea, its anabolic action". Gynecologie pratique 10: 261–272.